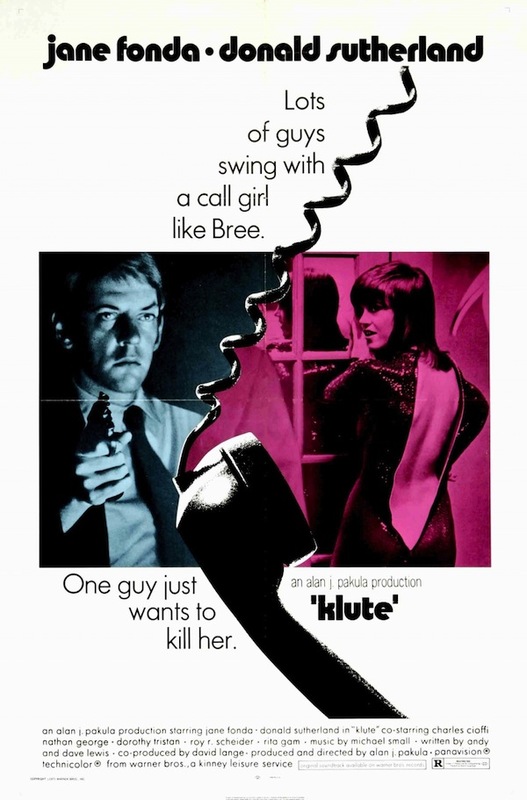 Klute (1971) staring Jane Fonda and Donald Sutherland and directed by Alan J. Kapula - "the story of a prostitute who assists a detective in solving a missing person's case". I don't have a lot to say about this one, other than the fact that I really liked it. 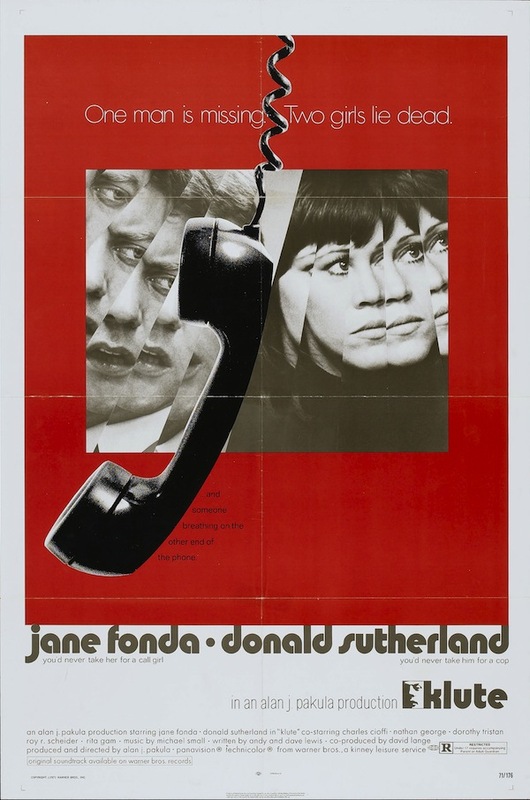 And it has a wonderfully creepy score. Here's the trailer if you're interested.